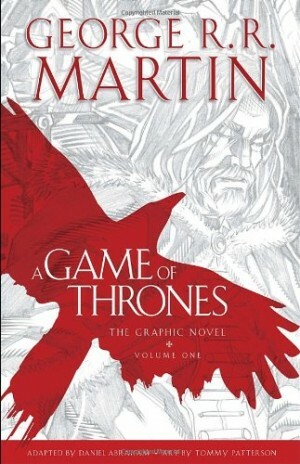 It’s understandable that the publishers would label this adaptation “A Game of Thrones Prequel” in prominent font on the cover, but that raises expectations that may remain unfulfilled. 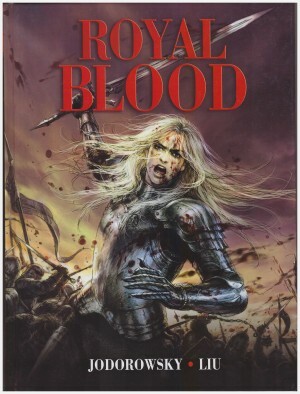 Yes, this is set in the same lands as Game of Thrones, but a century before events of that series kick off, so while the clanging of familiar names is resounding, there are no familiar characters. Potential buyers should also be warned that this is pretty well straight medieval historical fiction, lacking fantasy elements. 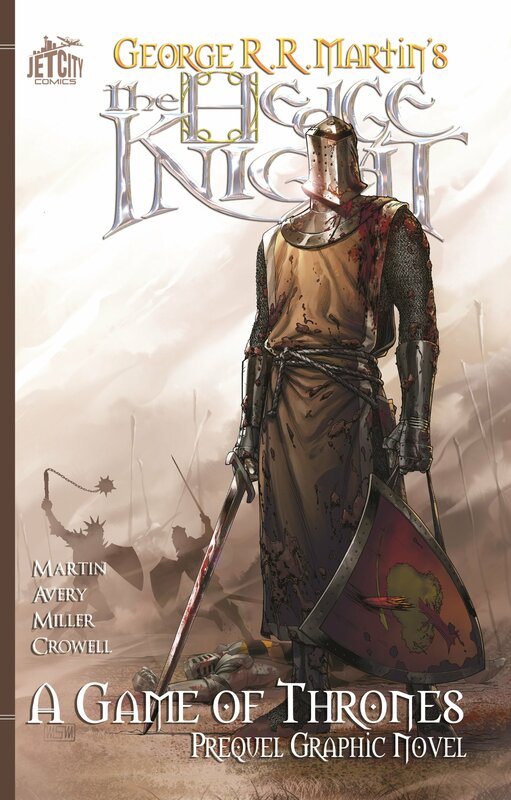 The tale begins with a tall well-built young man, Dunk, burying his knight and mentor. That this is not after a glorious death resulting from a battle for right against overwhelming odds, but capitulation to illness is a nice touch. It’s indicative of the neat character-forming twists sometimes too well concealed within the heavy descriptive passages in George R. R. Martin’s novels. Of course, adapting them to graphic novels means a picture can convey a thousand words, and it does so in the scene where our hero Dunk arrives at Ashford Castle for a tournament and surveys the splendour around him. Dunk is determined to prove himself as a knight, and his good nature is displayed when he takes on as his squire the persistent young lad met at a nearby inn. 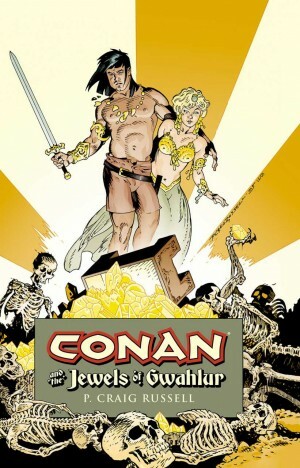 For around half the page count Dunk’s story plods along, but Martin then throws in a well-concealed surprise that changes much, and provides Dunk with the opportunity for glory he thought had eluded him. Unfortunately, it’s not in the manner he might have hoped for. Further surprises are few, and Martin stretches a relatively slim plot a long way with considerable verve, throwing problems Dunk’s way that our likeable lead engagingly steps up to the plate to deal with. 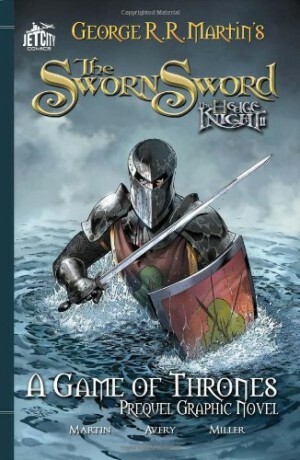 This is no standalone project, though, and those enjoying it can follow Dunk and co in The Sworn Sword. Mike S. Miller’s art is decorative, his page breakdowns lucid, and he’s admirably careful to ensure a large cast of family-related supporting characters can be distinguished. In adapting the material Ben Avery attempts to be faithful to Martin’s original work, but there’s no indication whether it’s he or Miller who breaks down the original plot. Whoever’s responsible has produced a sympathetic and readable graphic novel. 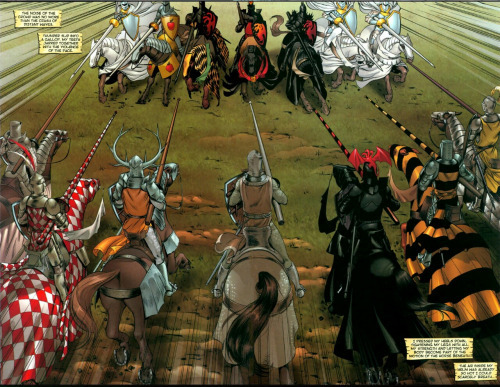 Miller worked overtime designing crests for a few dozen knights, only used as background in the adaptation, so reproduced as bonus material along with some of his character designs, pencilled pages and a short story.